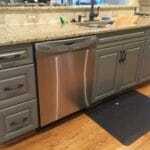 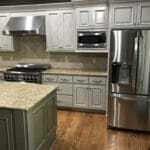 This kitchen was so dark. 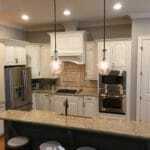 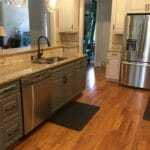 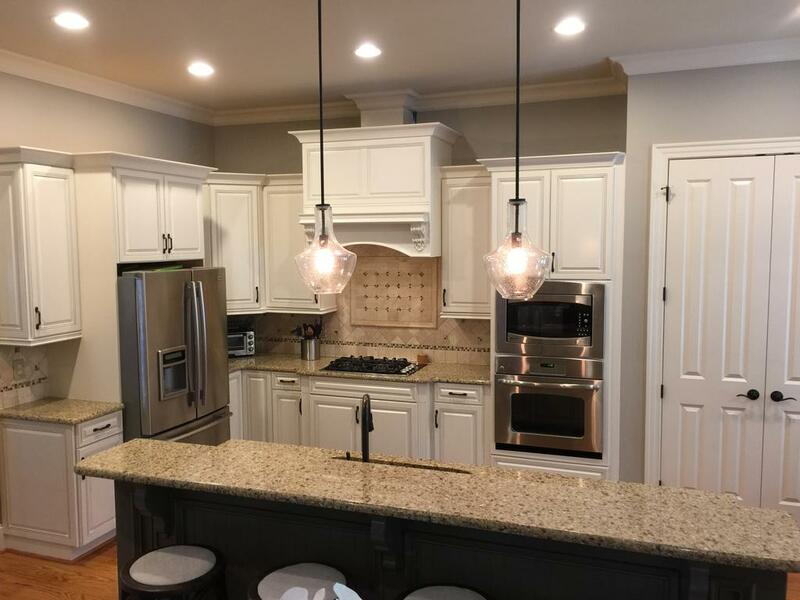 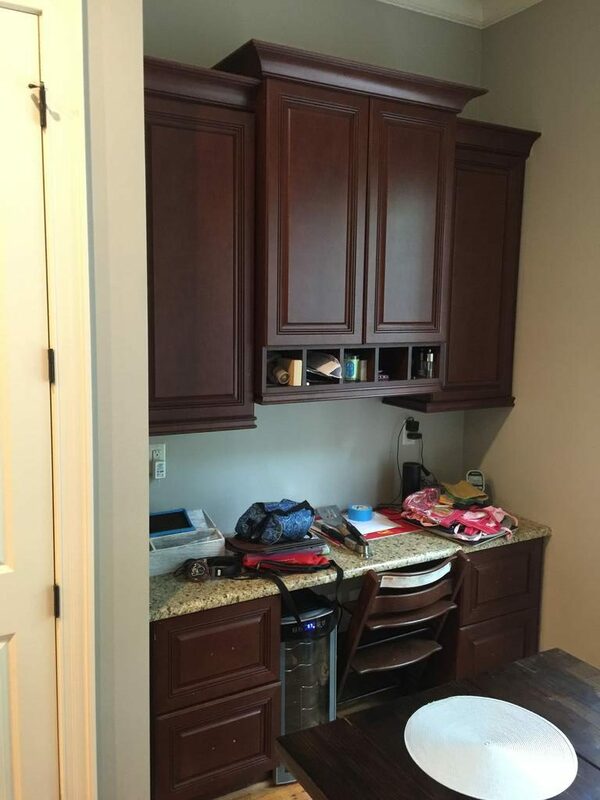 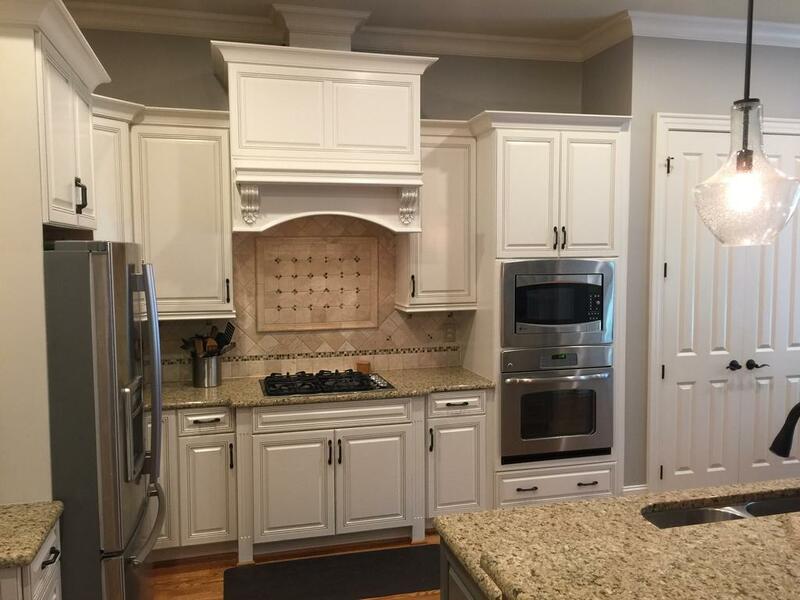 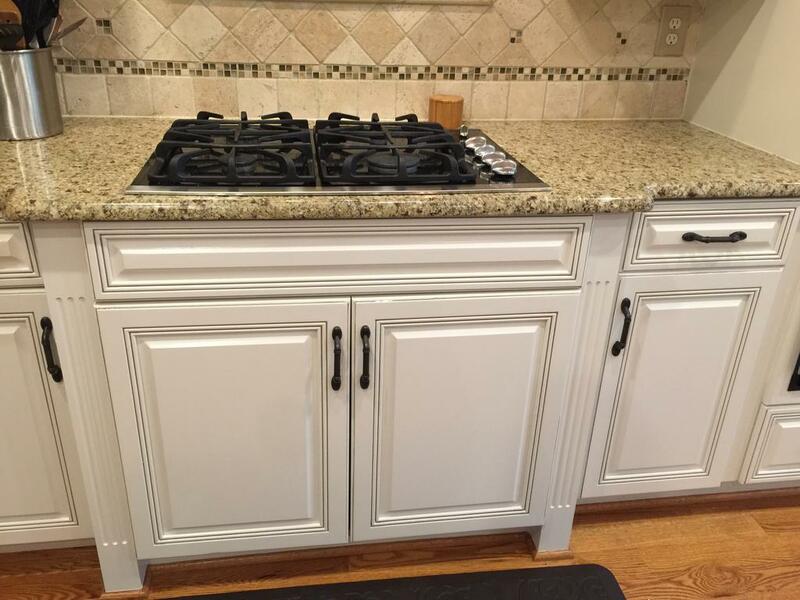 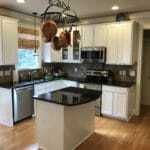 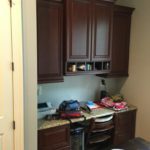 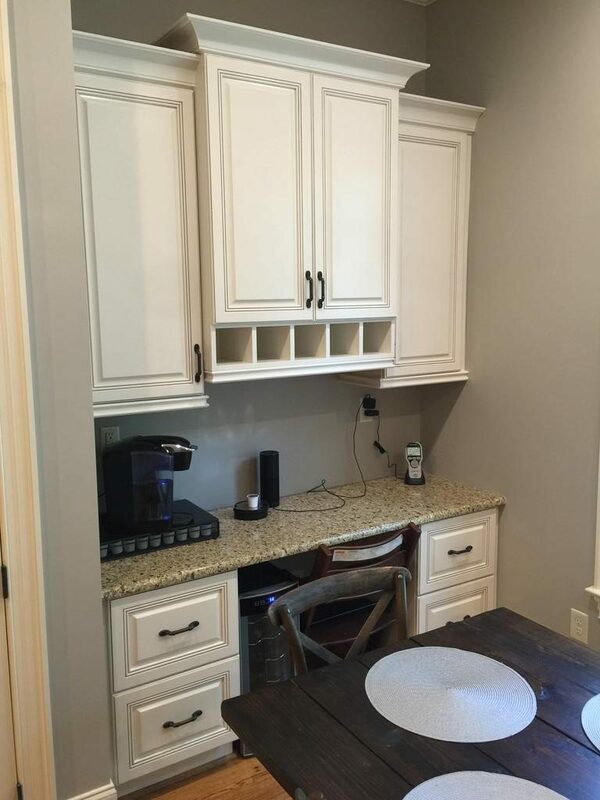 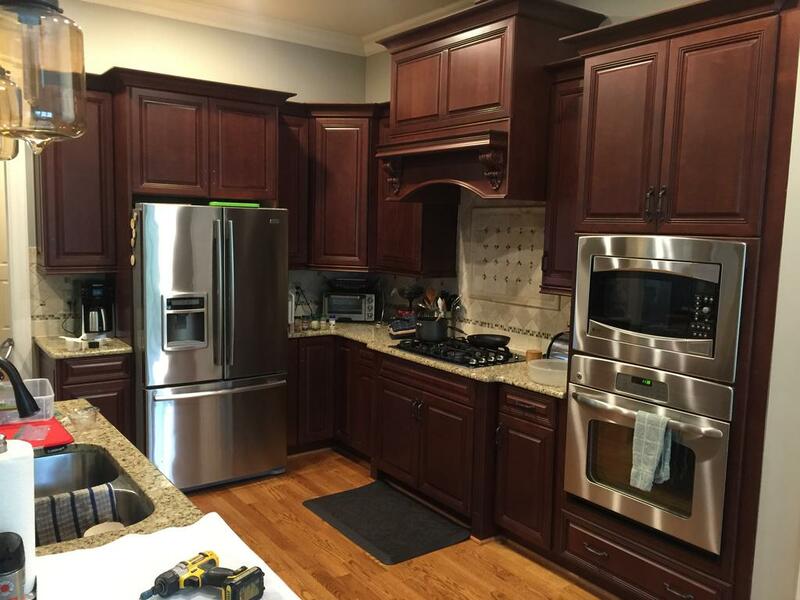 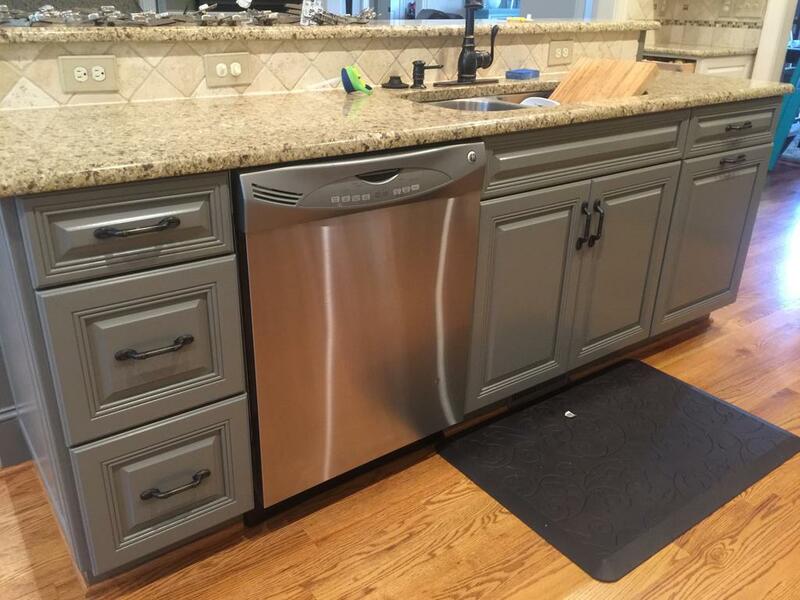 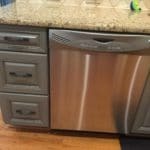 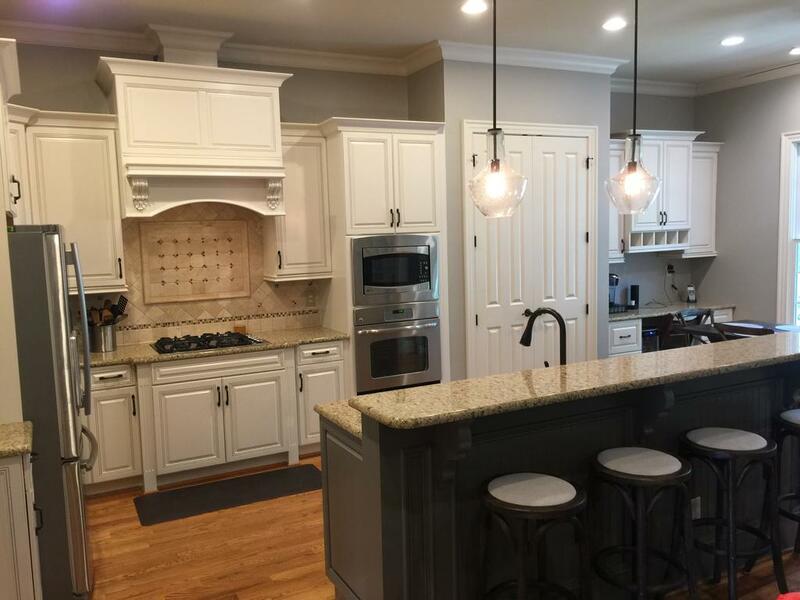 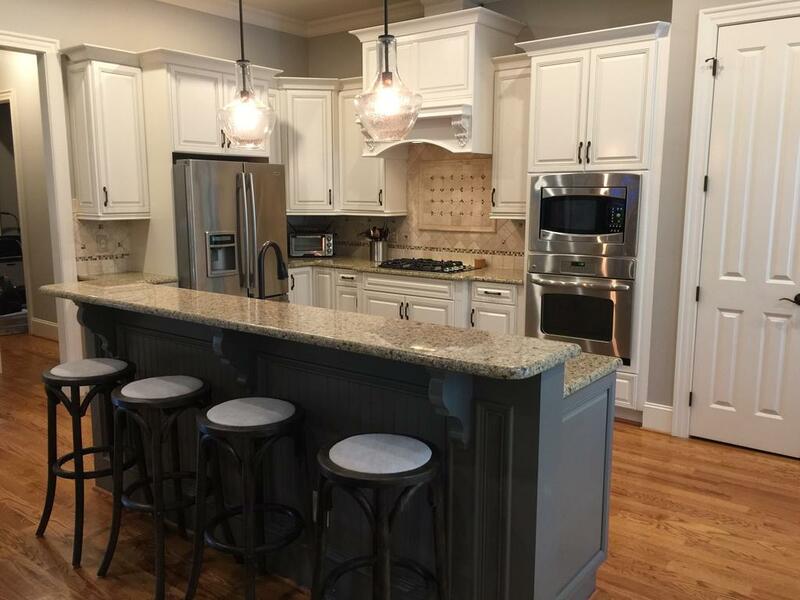 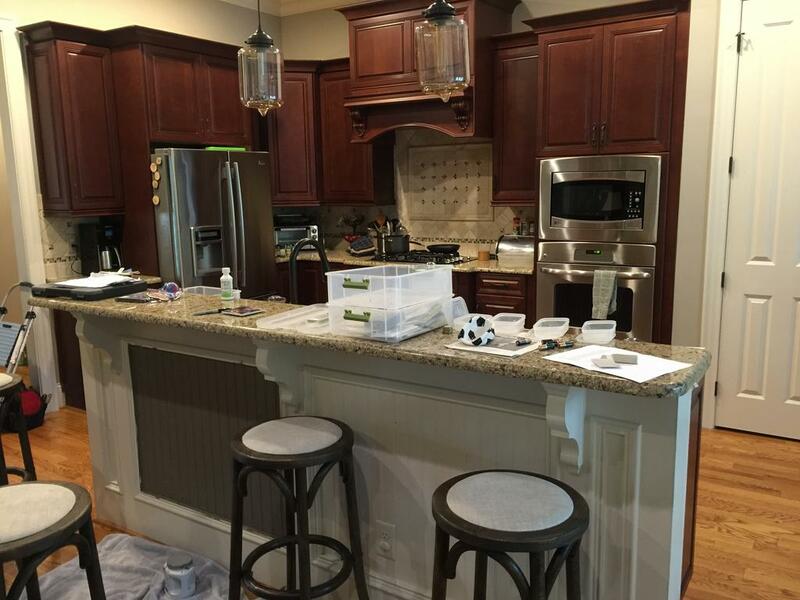 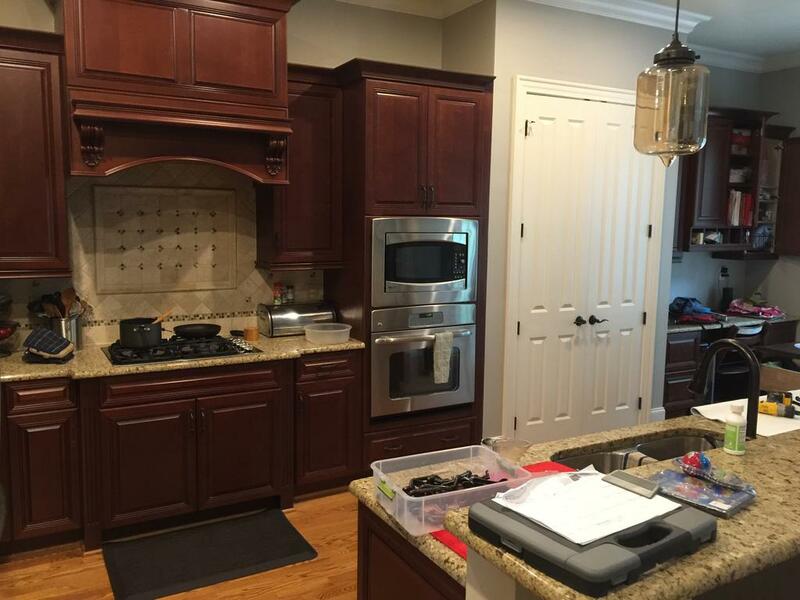 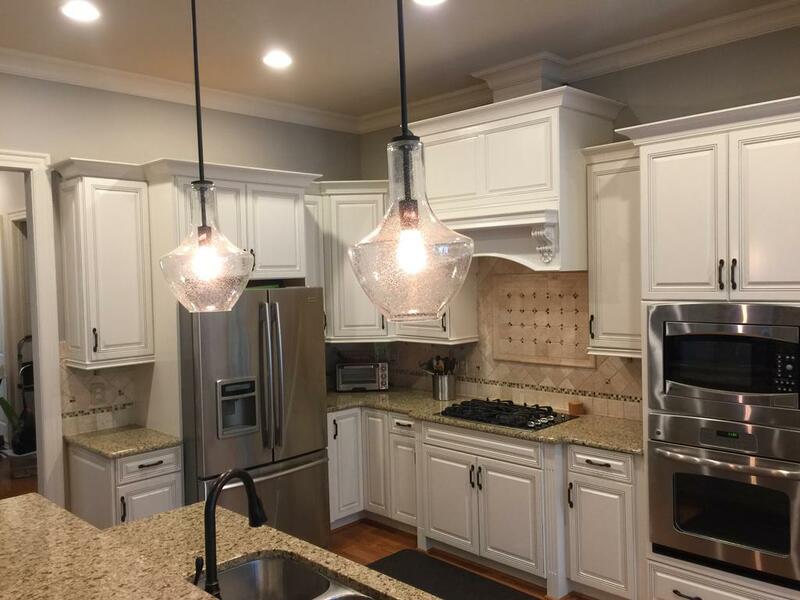 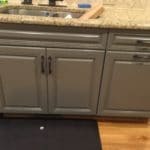 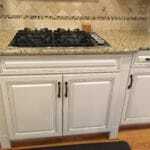 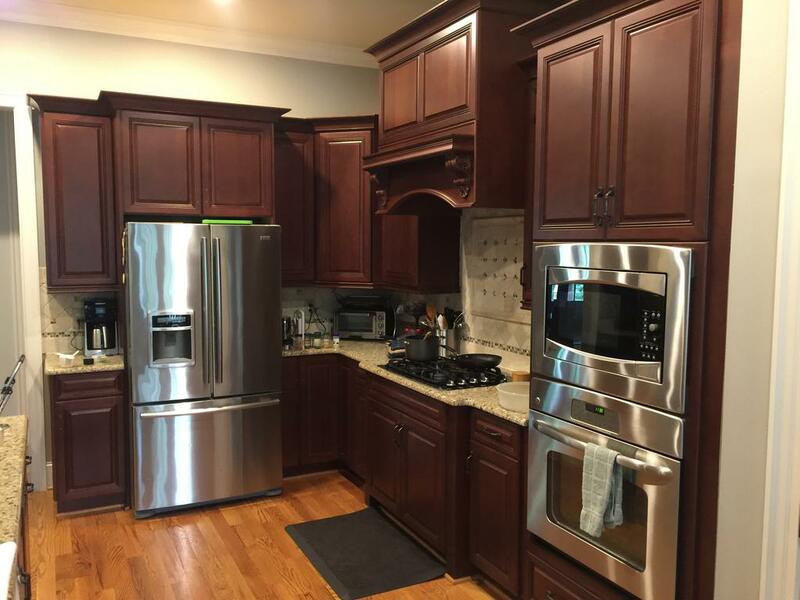 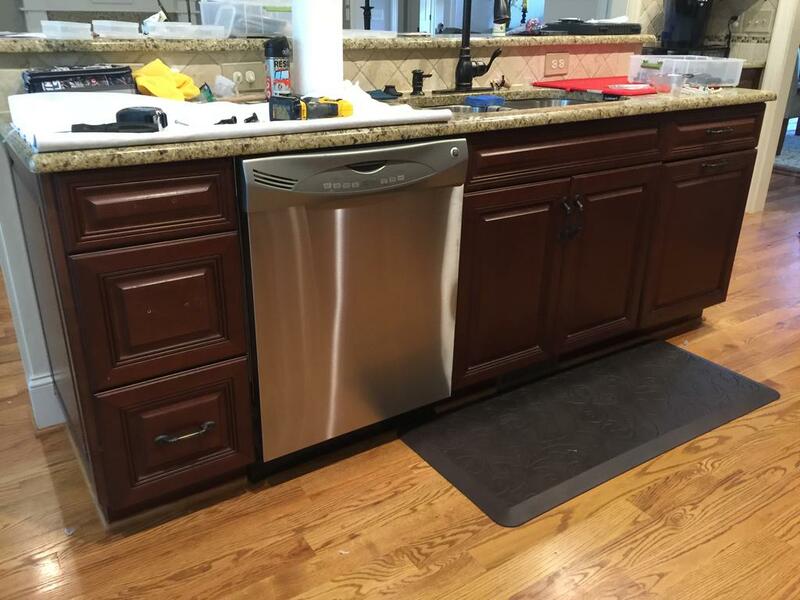 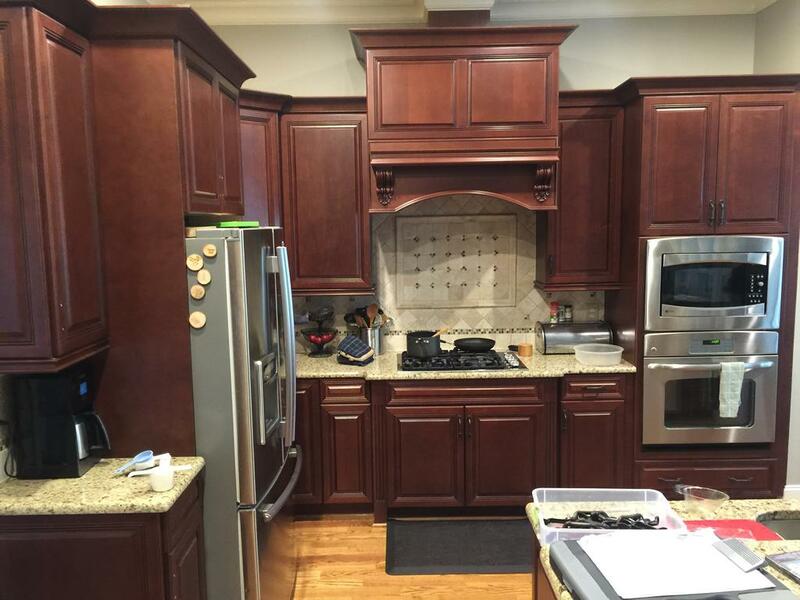 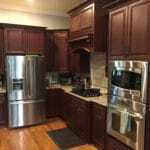 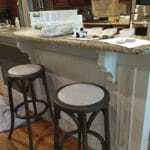 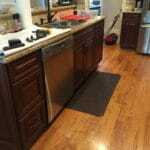 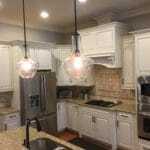 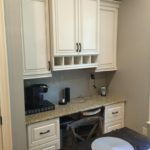 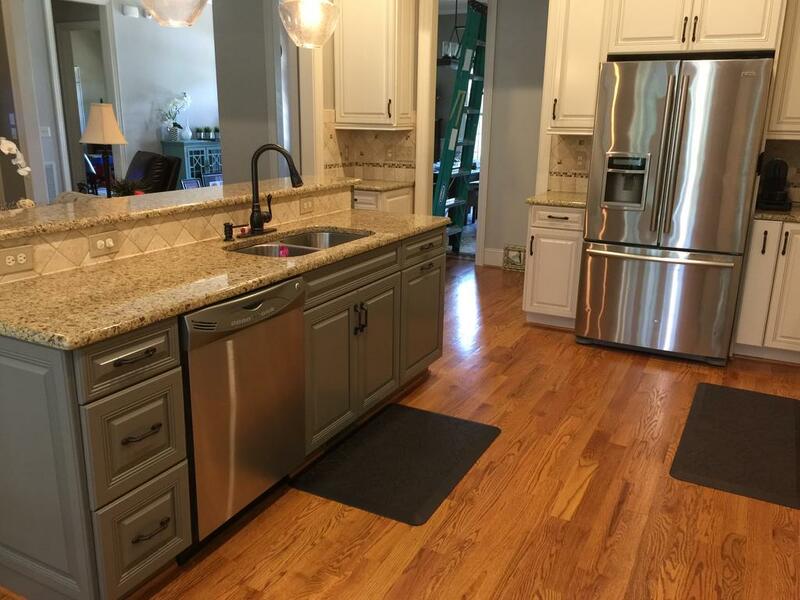 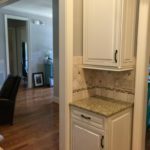 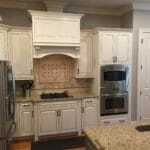 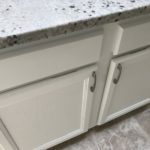 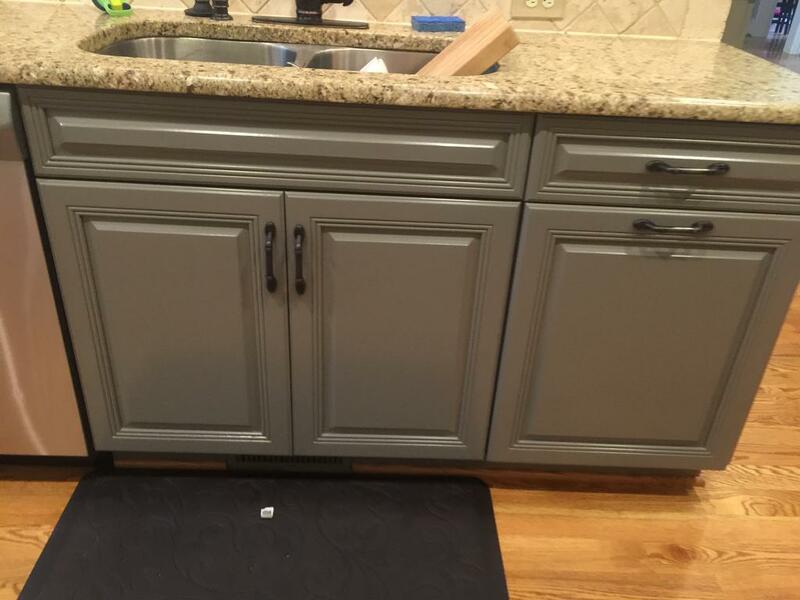 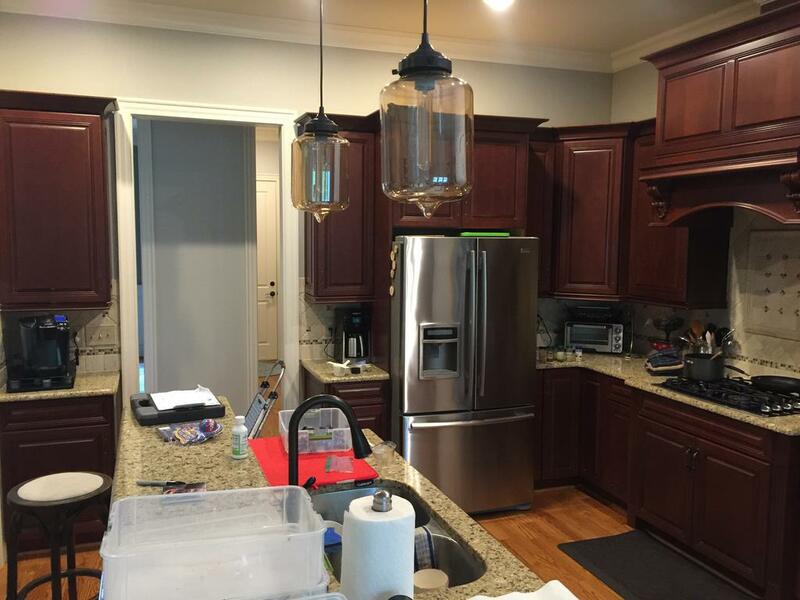 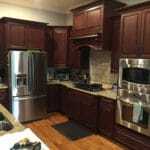 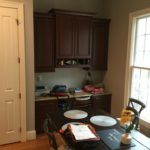 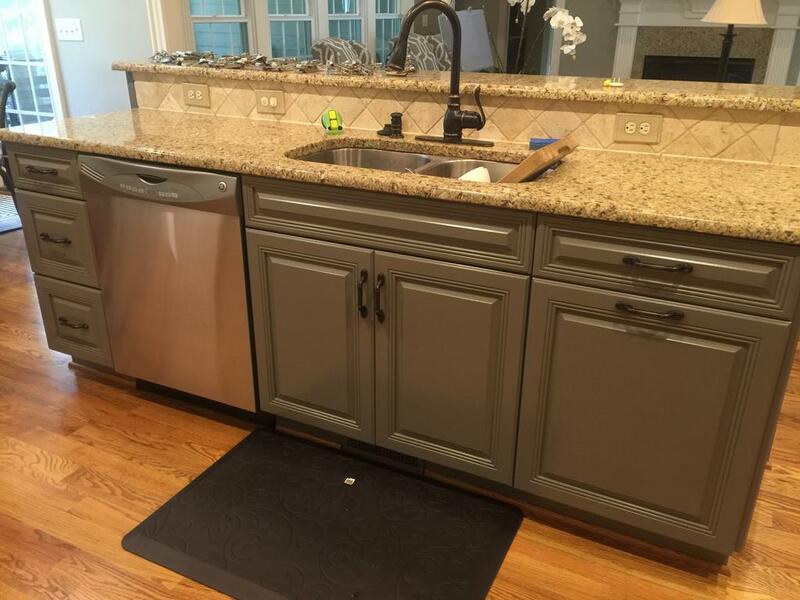 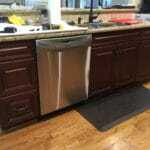 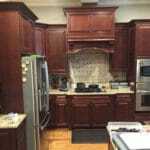 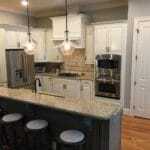 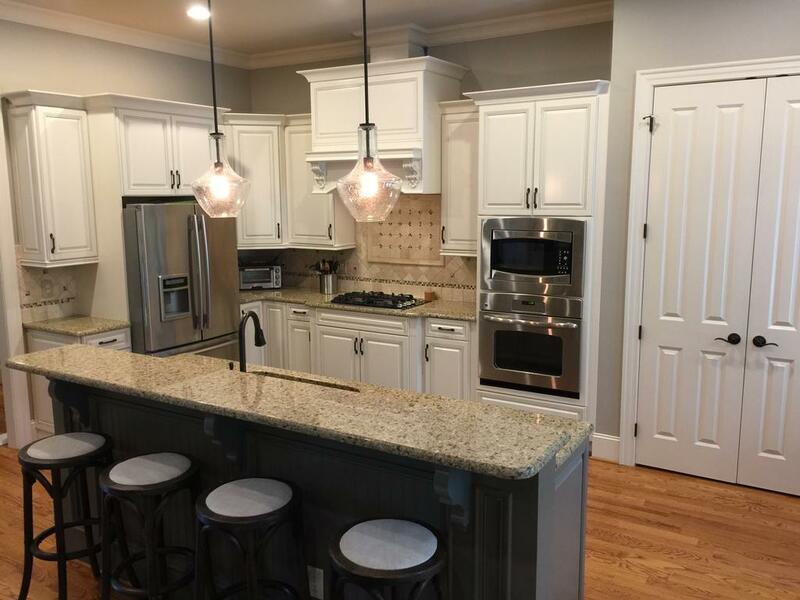 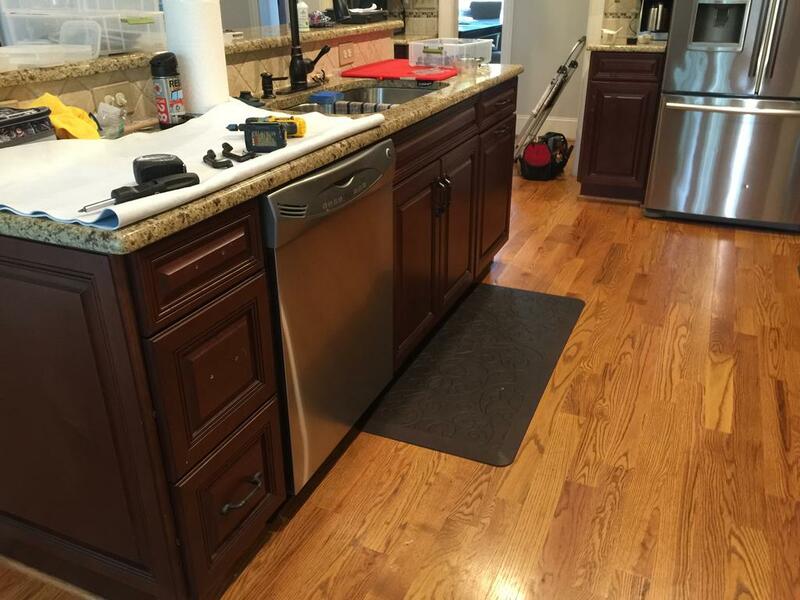 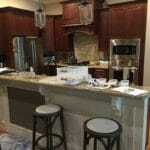 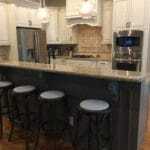 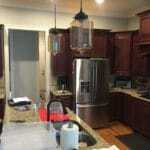 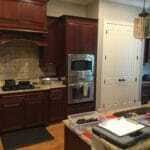 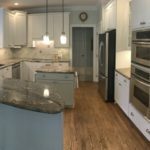 The cabinets were a very dark cherry stain, and they didn’t help tie together the light travertine backsplash tiles, the granite, or the flooring. 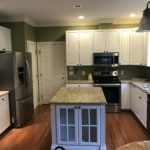 The homeowners had just painted the walls a gorgeous light gray so we wanted something to help tie everything together. 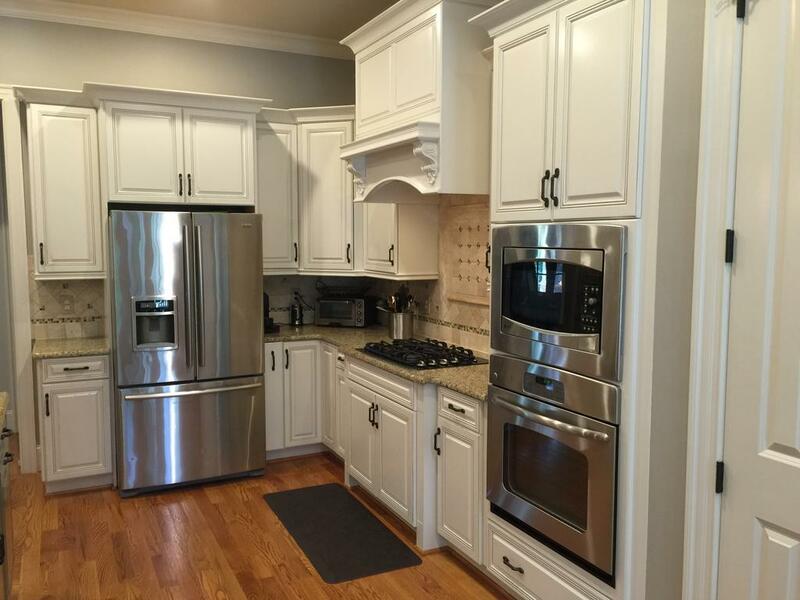 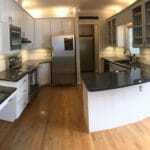 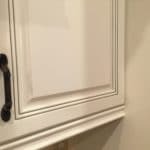 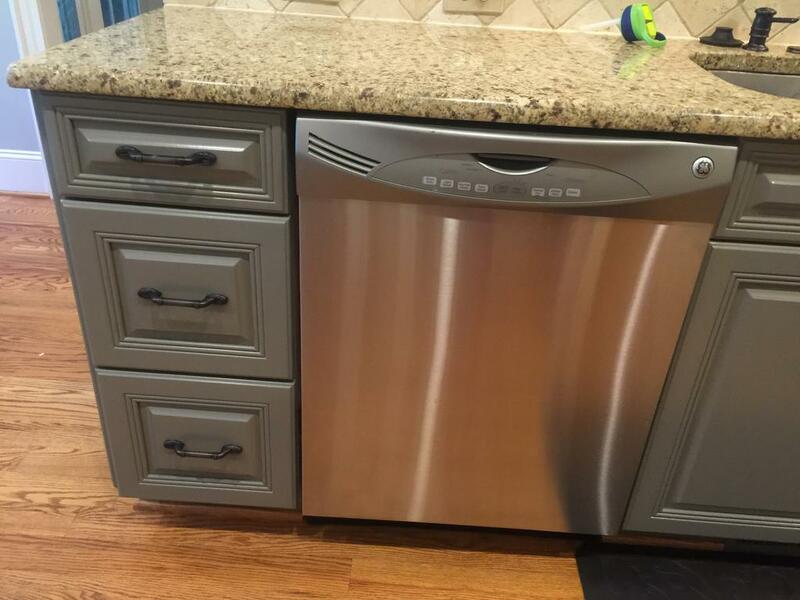 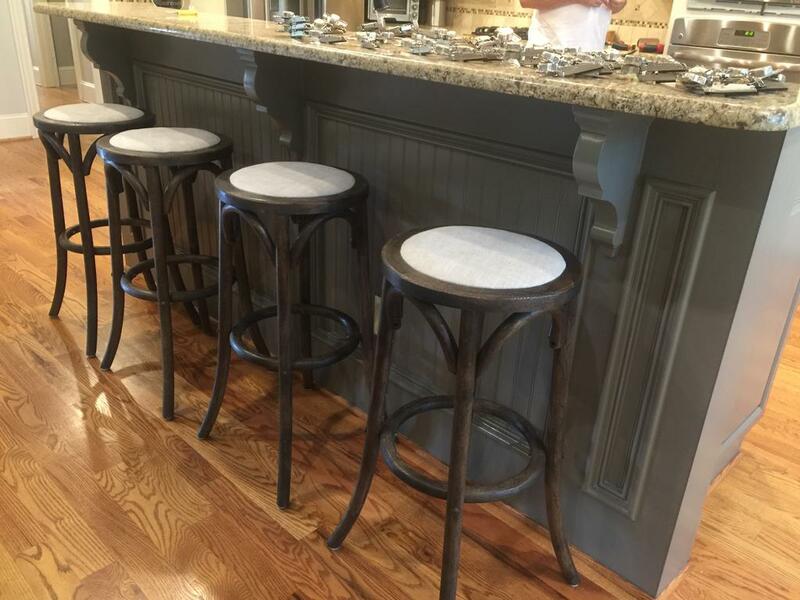 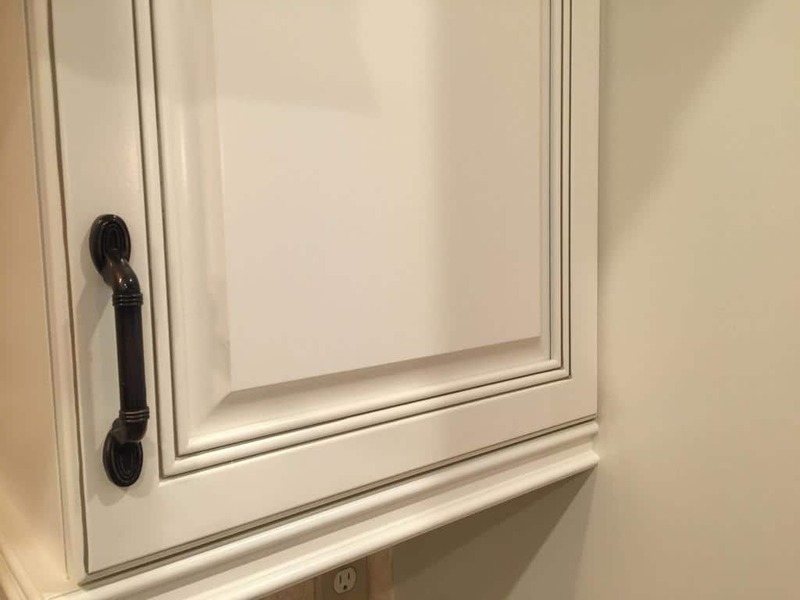 To do that we used Sherwin Williams Moderate White (SW 6140) on the wall cabinets, and added a dark, triple pinstripe in Sherwin Williams Anonymous (SW 7046). 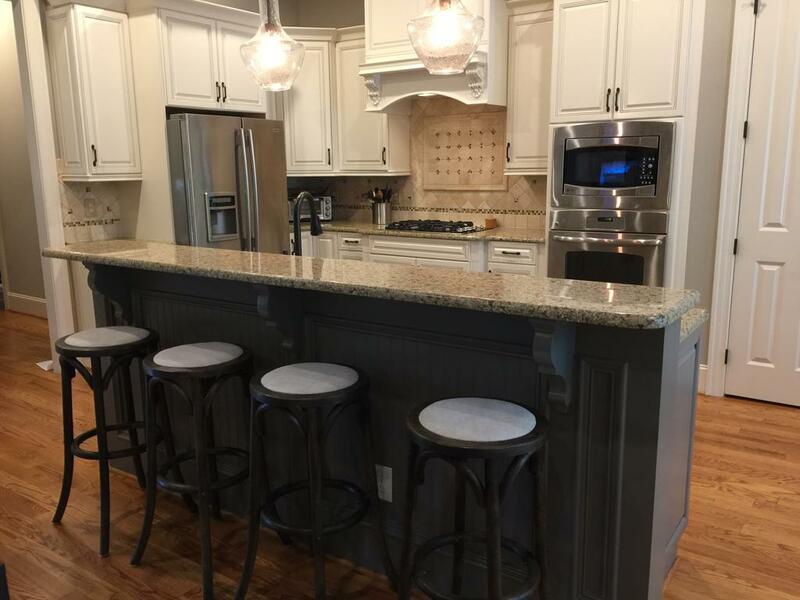 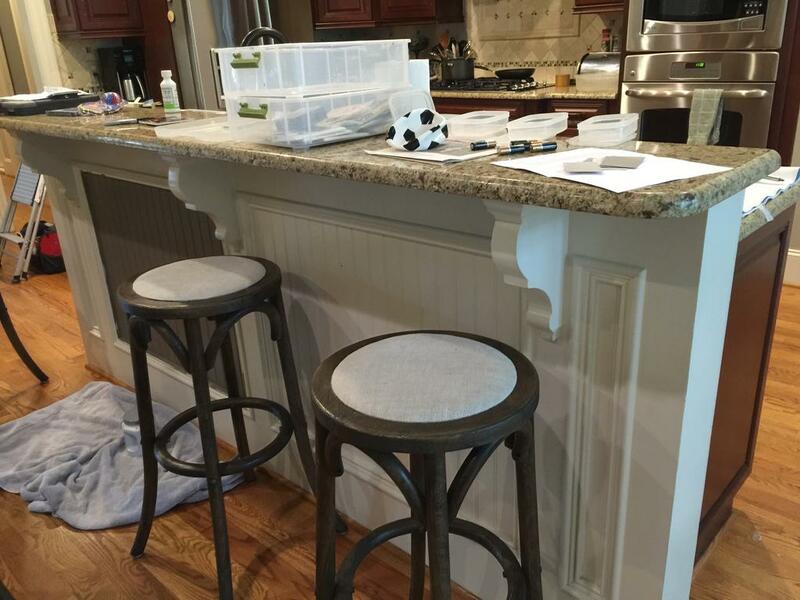 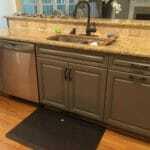 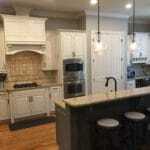 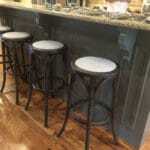 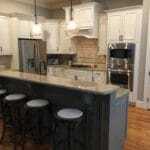 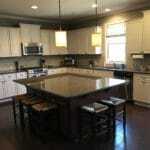 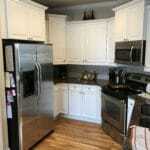 We used that same dark gray on the Island. 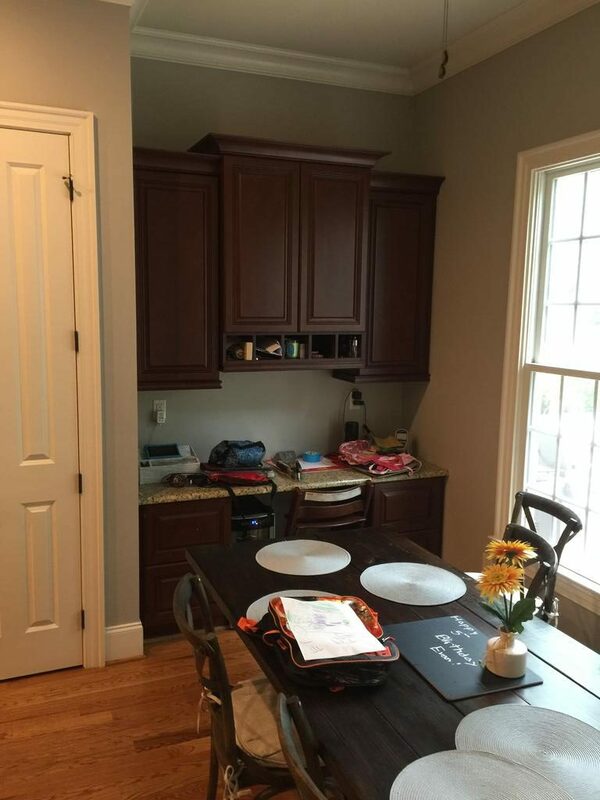 Now the entire space feels brighter and bigger, and much more modern. 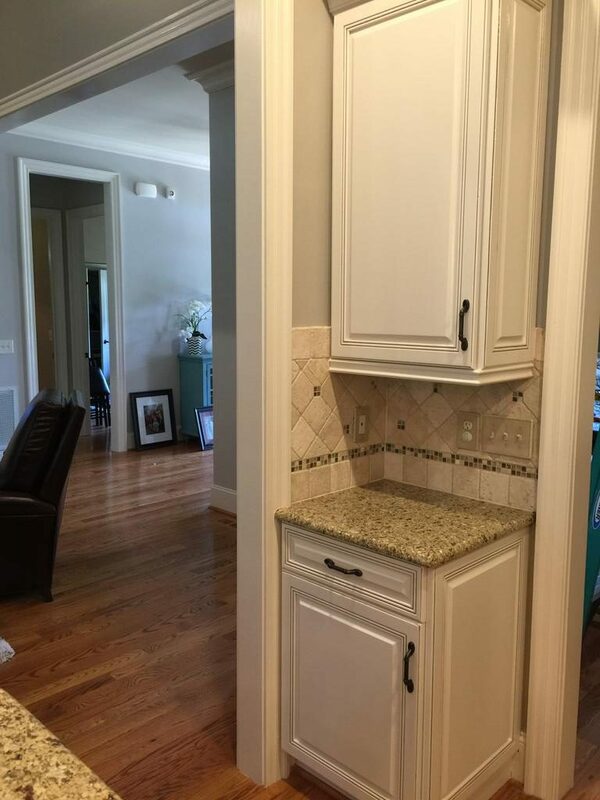 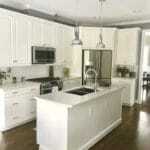 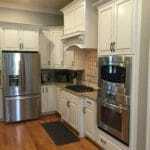 The kitchen looks like it leapt off the pages of a magazine!